“Look around. We’ve turned this holiday into a materialist spectacle. 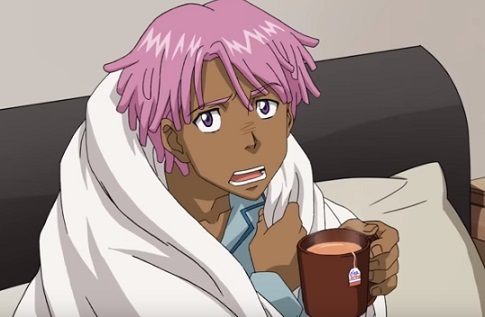 Have we forgotten the true meaning of Christmas?” This is one of the questions raised in the special holiday episode of the Netflix anime original series Neo Yokio, created by Ezra Koenig, for which the streaming service has just released the trailer. Season 1 followed Kaz Kaan as he pursued, joined by his faithful mecha-butler, love, fashion and supernatural forces amid Neo Yokio’s sinister high society. The holiday installment is set at Christmas time in Neo Yokio, the greatest city in the world, and sees Kaz, still locked in a tight battle with his rival Archangelo to be the top bachelor in town, juggling Secret Santa, demons and the true meaning of the season. The voice talent includes Jaden Smith, Jude Law & Tavi Gevinson. The song used in the trailer is “Ave Maria” by Giuseppe Verdi, performed by Compagnia D’Opera Italiana & Antonello Gotta & Santina Lanza. Neo Yokio: Pink Christmas launches on the streaming service on December 7.